If you’re one of the thousands of Young Living reps, you don’t need to be told that the company is blowing up like crazy. It’s really not hard to see why – essential oils continue to increase in popularity, and Young Living gives you an opportunity to grab a piece of this pie for yourself. More and more people are discovering the incredible powers of essential oils, little miracles in a bottle you can use in literally hundreds of ways. Young Living is right there on the ground floor. In fact, it was ranked in the top 10 of 2016’s multilevel marketing businesses. There’s a tricky word – multilevel marketing. While MLMs are great for everything from an additional revenue stream to becoming a sole source of income, you need to know how to make it work for you. If you’re ready to unlock your Young Living sales potential, take notes – we’re going to break it all down. If you want to generate sales like crazy, you need to get crazy about what you’re offering. Sure, you might be familiar with Young Living’s main products, like their popular Thieves oil blend, but you need to go a step further. Study all of the products. Find out what makes them unique and the different ways you can use them. You can’t sell a product you’re not sold on yourself. Once you know your wares inside and out, you’ll have the perfect recall with your customers and will solve any problem in a snap. Don’t Just Do It Digitally – Jot It Down! Believe it or not, putting pencil to paper is very powerful. You might keep your roster of steady and potential clients on your smartphone, but writing the names down will open up new possibilities. When you physically write something down, it activates different regions in your brain that aid with memory and recall. You might see patterns or untapped connections. Take a moment, maybe dab a little Frankincense essential oil on your wrists to give your brain a boost, and jot down all of the leads you’ve gathered. What’s there to lose – except for sales if you don’t try? This is a major key in boosting Young Living sales – you should strive to make a personal connection when you network. It’s just not enough to hand out business cards and shake hands; you’ve got to get into your potential clients’ minds. The personal connection’s success rate can’t be overstated. It takes a little bit more effort but taking the time to connect with your customers – make them laugh, get into a deep conversation – sets you apart from the competition. MLM sales are personal after all. YOU’RE the entire business from the bottom to the top. Sell them on YOU, and they’ll buy your product. Almost everyone and their brother and that brother’s dog has a social media account. Almost 80% of the population engages in social media in one form or another – and it’s growing every day. While face to face networking is a great way to sell yourself directly, with social media you can still make that personal connection while showcasing the product a little more. Create an online account just for yourself as a business, separate from your personal accounts. Post regularly to build an online presence. Make your posts a mix of product info and personal stories to build a connection with your audience. Your Young Living sales are sure to soar when you get social! This is an oldie but a goody – and one that many people don’t even think about (giving you a leg up on the competition!). Running a few classified ads are inexpensive and will help you reach a neglected audience. Although you might think people don’t look at classifieds anymore, there are still those who do. There’s lots of noise online – try this low-tech approach and generate more leads. What Are You Giving Away, Not Just Selling? Here’s a technique that costs a little up front but will make you stand out in your potential customers’ minds. Everyone loves a freebie, right? And if you receive something, don’t you feel like giving something back in return? We’re not talking about giving away the store; just think about having samples handy. Maybe if you’ve created your own anti-stress essential oil roller, offer it to your friend if they ask about it. If someone compliments you on your scent, talk about how adding essential oils to your hand lotion has made a difference – and have it handy for them to borrow. You’ll give them a warm and fuzzy feeling inside and, yes, make that all-important personal connection. 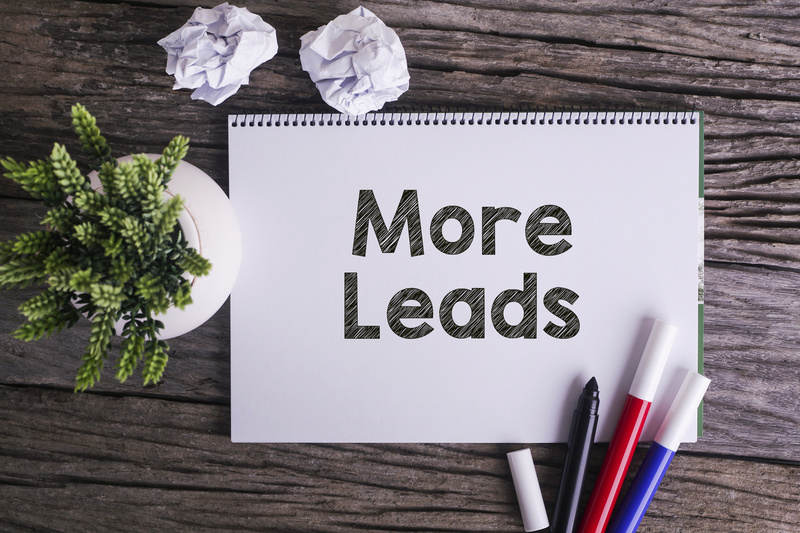 If you’ve got those wonderful leads after making a personal connection, don’t just rest on your laurels. Keep connecting. Follow up and see what you can do for them. The trick is to be persistent, not annoying. Schedule an appointment to have a one on one chat. Shoot them an email every once in a while to see how they’re doing. Your customers are what drives your Young Living sales. Don’t just get the cash and move on – cultivate them! Once you’ve got your loyal base, make yourself readily accessible. A place like My Oil Site can craft a perfect landing page for your customers to access. They can link up your social sites, too! Make a one stop shop you can guide your customers to – or that they can find on their own – and your Young Living sales will practically fall into your lap. Follow My Oil Site for great tips for keeping and cultivating your Young Living sales and get ready to earn like crazy!